Just steps from the eastern border of Druid Hills are a beautiful park and an often-overlooked garden. Join us Saturday, December 9 at 9:00 AM as we extend our walk to beyond the neighborhood. 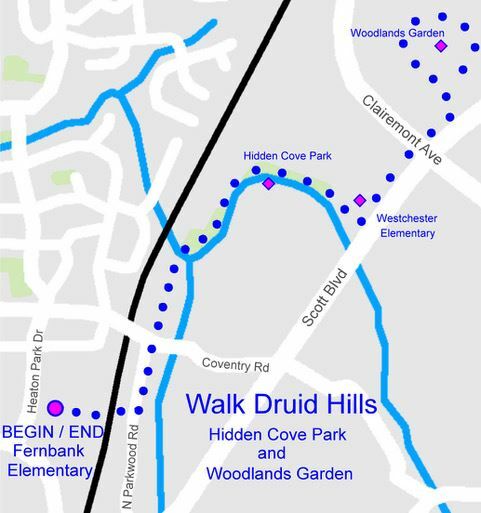 We will begin our 3 mile walk at Fernbank Elementary School and visit Hidden Cove Park and the Woodlands Garden. This walk includes stairs and uneven terrain.